Illus. in full color. In a funny sequel to The Surprise Party young Albert is sure his friend's Halloween party can't be as scary as he says it's going to be. 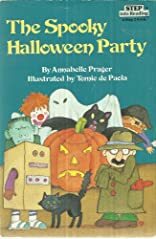 "Albert's bravado is dealt a swift blow when he finds himself among a host of party-going ghoulies who turn out not to be his old buddies in disguise." --Booklist.